Assistant Chief Henry J. Tavares Jr. 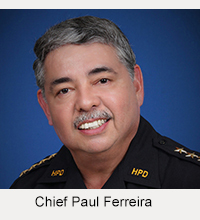 The Hawai’i Police Department will hold a community meeting on Tuesday, June 15, 2010, from noon to 2 p.m. at the Kuhio Hale Hawaiian Homes Hall in Waimea. The South Kohala event continues the second round of district community meetings, which are rotated monthly throughout the eight police districts on the Big Island. 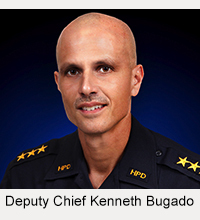 To aid police commanders in focusing on specific community concerns, they ask that participation be limited to persons who live or work in the police district in which each meeting is held. Those interested in participating but unable to attend may e-mail their concerns or comments to hcpd2376@co.hawaii.hi.us.